A Well known scholar from the Islamic Gateway www.ummah.net brings you a glimpse of this study. 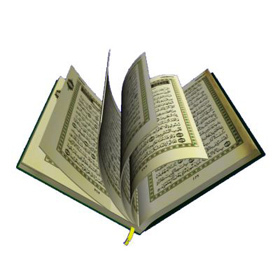 Dr.Tarig Al Swaidan discovered some verses in the Holy Qur’an that mention one thing is equal to another, i.e. men are equal to women. Although this makes sense grammatically, the astonishing fact is that the number of times the word man appears in the Qur’an is 24 and number of times the word woman appears is also 24, therefore not only is this phrase correct in the grammatical sense but also true mathematically, i.e. 24 = 24. The Miracles of the Quran will never end. There will never be a time where mankind can fully take in the knowledge that is in this holy book. It is a miracle to all mankind, the word of God. There is no value that one can set to the words of the Creator. It is a treasure of which guides those that want to succeed in this life and the hereafter.